Item # 317463 Stash Points: 1,995 (?) This is the number of points you get in The Zumiez Stash for purchasing this item. Stash points are redeemable for exclusive rewards only available to Zumiez Stash members. To redeem your points check out the rewards catalog on thestash.zumiez.com. 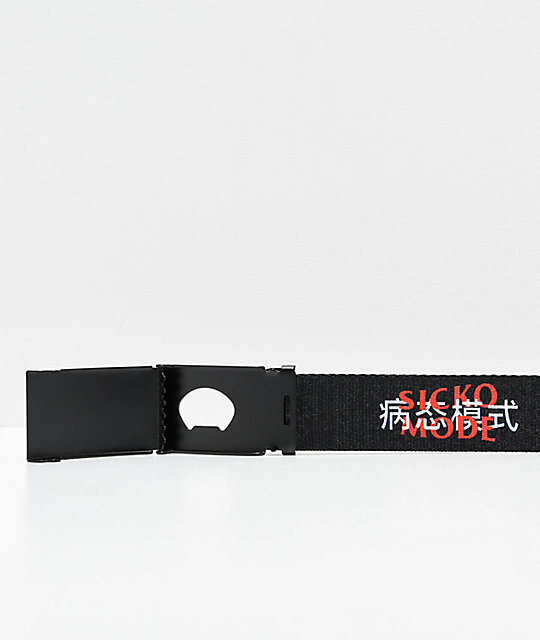 Hold your pants in place in clean fashion with the Artist Collective Sicko Stamp Black Web Belt. 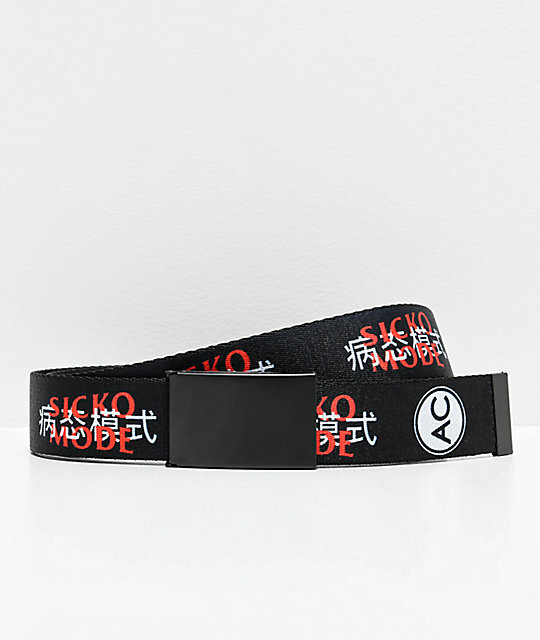 This all-black web belt is one-size-fits-most and comes with embroidered "Sicko Mode" script in red with a white Kanji script back drop for additional style. Sicko Stamp Black Web Belt from Artist Collective. Bottle Opener detail behind buckle. Black with red and white "Sicko Mode" text throughout. 47" (119cm) total length, 1.25" (3cm) wide.